Have a Question in Mind How to Buy Moto G6 and Moto G6 Play Online from Sale ? India's Moto G6 and Moto G6 Play phone is a newly trend nowadays. People are excited for this phone to know the new features they would be getting. Also you will find many updates in this Moto G6 phone. Best thing about Moto phones are that they come in budget range which is always a big demand from people. Checkout the complete article on Moto G6 and G6 play phones specifications, features, sale date etc. Comment down below for any queries. Also many people will have questions how to buy Moto G6 and Moto G6 play online from sale so also check the article on details. 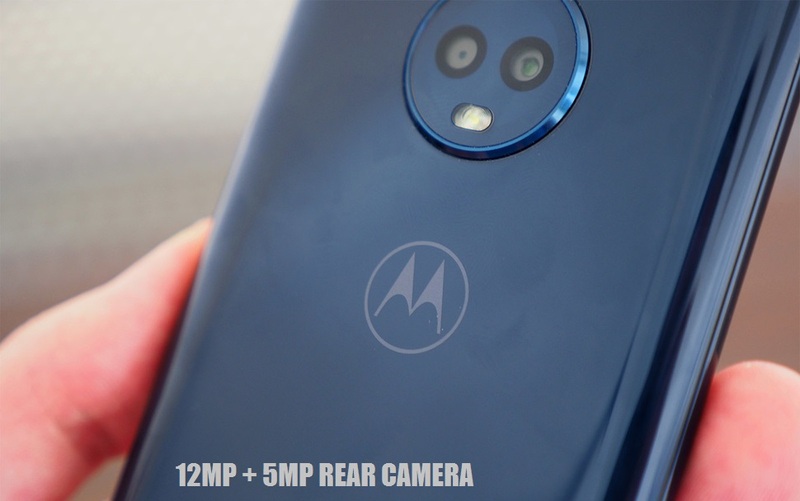 Moto G6 has the new ratio 18:9 display and first time they are launching dual camera at the back. 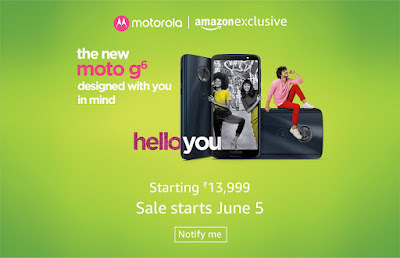 This will surely be the best range phone by Moto as there are many new features which are expected.your luck from today midnight sale itself if you are interested to buy the phones. Surely this sale will go off in seconds as many people are big fan of Moto phones so try your luck today. Moto G6 and G6 Play phone comes with some gestures like to shake phone for light. And flip the phone to make it silent. Turbopower Charging is the best thing which is a big attraction for this phone which can completely charge the phone in mins. 3000 Mah Battery which is again a best thing to keep phone working for long. This time phone will also be safe from water droplets with the amazing cover it has got. Moto G6 phones will be 5.7-inch FHD+ (2160 x 1080) display, Snapdragon 450 processor, 3000mAh battery; 12MP + 5MP rear camera and 16MP front camera. Moto G6 Play has a 5.7-inch display as well, but the resolution is HD+ which is 720p. Processor on the Moto G6 Play is Snapdragon 430 coupled with a bigger 4000 mAh battery, a 13MP rear camera and 8MP front camera with soft LED flash. Moto G6 and Moto G6 Play will go on sale from today midnight so you can check for the deals from Amazon and Flipkart. You can buy the phone according to the specifications. We will keep updating this page with the next sale accordingly. Kindly check for next online sale date. How to buy Moto 6 and Moto G6 Play Online Sale ? As sale takes off in seconds you need to be super fast. Keep refreshing the sale page.Just before the sale keep your address and name details everything ready in some notes in your phone. As soon as sale gets live select the option for phone and fill the details by pasting it directly and selecting payment option. Congrats your phone is ordered. So this was all about Moto G6, Moto G6 Play Buy, Next Online Sale,Price, Specification, Review, Features. Hope now you will be aware of the phone specifications and reviews and also regarding the sale. Do follow this page we will update the next sale date on this page so that you can get the newly dates for this phone. Any questions regarding Moto G6, Moto G6 Play Buy, Next Online Sale,Price, Specification, Review, Features can comment below.